Two Queen’s graduates working at local firm White Ink Architects – Cormac McAteer and Pearse McCann – have successfully completed the 'Postgraduate Certificate in Professional Practice in Architecture’ and are now listed with the Architects Registration Board and the Royal Institute of British Architects. Cormac, BSc Architecture, 2012, MSc Architecture, 2015, joined White Ink in 2014 and is working on the new University of Ulster campus in Belfast. Pearce, BSc Hons Architecture 2008 and MArch 2011, joined the company in 2017 after moving back home from Australia. He is currently delivering The Denizen – a £36m residential scheme in London. White Ink has staff development structures which are unparalleled for a practice of its size. The firm employs students at graduate level and trains and supports all staff through professional exams and continual learning. The award-winning practice was set up in 2001 and has designed, managed and delivered a variety of major projects including the Brentford Lock West apartment development in London (which won the RIBA London Award and the Sunday Times British Homes Award in 2018), the Maldron (now the Clayton) Hotel in Cardiff and the Queen Mary University of London upgrade. Closer to home, White Ink has provided architectural expertise for the Lisburn Community Treatment and Care Centre, the Adelaide Train Maintenance facility in Belfast and Benaughlin Health Centre in Enniskillen. 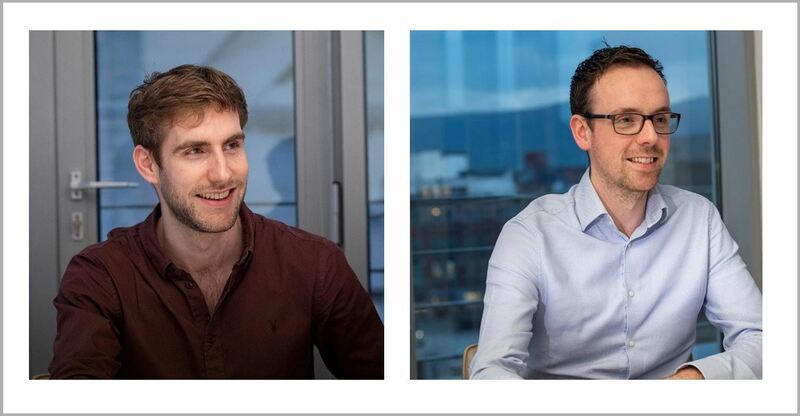 Cormac and Pearse’s exam success brings the number of fully qualified architects at the practice which has an overall staff of 25, to 17. Fellow Queen’s graduate and company director Joan McCoy, BSc Architecture 1990, DipArch 1992, was appointed President of the Royal Society of Ulster Architects (RSUA), the professional body for chartered architects in Northern Ireland, last year. Architecture at Queen’s, which is part of the School Of Natural And Built Environment, was ranked 1st in the UK for student satisfaction in The Sunday Times League Table (2014/15). In the 2018 Guardian League Table of 49 schools of architecture it was ranked 1st in the UK for Added Value, 7th for Career Prospects and 7th Overall. Alan Jones, BSc Architecture 1987, chartered architect, director of his own practice in Randalstown, County Antrim, Senior Lecturer at Queen’s and previously RIBA’s VP for Education, will take over as President of the Royal Institute of British Architects on 1 September 2019, for two years. For media enquiries and further information please contact Moya Fitzpatrick at White Ink Architects, tel: +44 (0)28 9031 9526. For details of graduate vacancies at White Ink Architects please visit the company website.